Popular games blog VideoGamerhas reported that both the PS4 and Xbox 720 could be launching as early as March. We suspect that the two companies intend to clash with the Game Developers Conference that will be running between 25 – 29 of March. The report also states that both companies are preparing “special Apple-style press conferences”, which are normally well rehearsed and extremely hyped. We look back in the history of conferences and Apple has always had some of the best. If this report is true then both companies seem adamant to cut each other off. We suspected that one would launch a little earlier than the other, to get early buyers in. The PS4 has been rumoured to come out sometime next month, while the Xbox 720 has been mostly mid-2013. This new report seems to show that both companies want first dibs on the customers. We have seen some of the biggest games hold out on a Christmas launch, Bioshock was hit by delays; GTA V is set to come out sometime Q2; Metro 2033 and a lot of other games are readying their launch March – July. We believe that game developers will be working on both console generations for another two years, until most gamers have moved from the Xbox 360/PS3 to the PS4/Xbox 720. 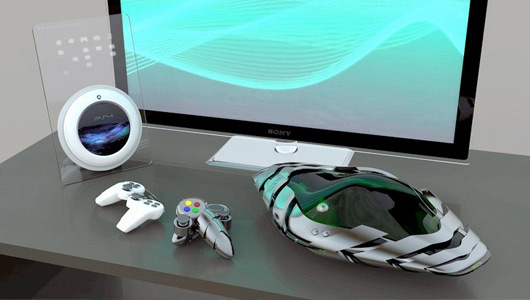 Both consoles are rumoured to be powerhouses that can match even the best of the PC world. With all this power, we may see both Sony and Microsoft slap a large price-tag on the next generation of consoles. Rumours have said that the PS4 will ship for $350 and the Xbox 720 for $400.